I’m curious to see how Firebird was ranked. If anyone has this study, please drop me a note. SQL Manager 2005 for InterBase/Firebird released! EMS Software Development Company is pleased to announce SQL Manager 2005 for InterBase/Firebird – the new major version of the powerful InterBase and Firebird administration and development tool! SQL Manager 2005 is compatible with any Firebird version up to 2.0 and InterBase version up to 7.5 and supports all of the latest features including trigger messages, BLOB filters, and so on. It offers plenty of powerful tools for experienced users such as Visual Database Designer, Visual Query Builder and Stored Procedure Debugger to satisfy all their needs. 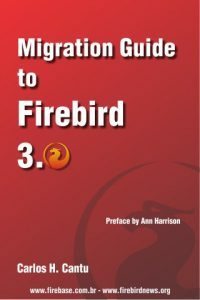 The Firebird ADO.NET Data Provider 1.7.1 Release Candidate 4 for Microsoft.NET 1.1 and Mono 1.1.x is available for download. and varchar columns on the ViewColumnUsage schema. This ZDNet article comments about the new rules in the Database game, where Open Source databases are forcing the comercial ones to review and change the way they do business. Hi, I’ve decided to make an in depth test of MySQL’s new functionalities by porting Firebird’s EMPLOYEE.FDB database to MySQL 5.1.5, here is what I found, I hope it will be useful for people porting apps from MySQL to Firebird and vice-versa. It would be difficult to estimate the balance between appealing to developers and the influence of Open Source databases such as MySQL, but I would tend to believe that competetion from Postgres, Firebird, MySQL, et al. to be a significant factor in the decision to release free versions of proprietary databases. Paulo Henrique Albanez informs that a non-oficial version of Firebird 1.5.3 for Windows, with supports to collate PT_BR (case insensitive) is available for download here. A Linux version will be available shortly. This version is mainly for brazilians and other portuguese speakers people who wants to get the benefits of case/accent insensitive collation for ISO8859_1/WIN1252 charsets, while FB 2.0 is not released. Open-source database deployments rose dramatically in the last half of 2005, and as one might expect, as more IT pros get acquainted with these non-proprietary systems, security is a chief concern. Open-source database makers like MySQL and PostgreSQL [ED: and Firebird] simply must answer some of the most prevalent security-related questions in order to win more market share. One of those questions is, with recent headlines suggesting customer data stored on organizational databases is at risk, should those who opt for open-source database applications be worried? Not according to data suggesting proprietary database software is breached more often. But data alone is not enough. What IT executives really want to know is what specific technological security precautions open-source DB developers need to take. It’s a pretty tightly moderated list. website, or go straight there if you like. for getting us “out there”. Compiere will try to port its ERP suite to Derby. Currently database choice is limited to Oracle and Fyracle (Oracle-mode Firebird). Earlier attempts to port to Postgres and Sybase were effectively abandoned. It will be interesting to see if Derby joins the list of working ports towards the end of this year.